The older I get the more I tend to be a little bit more practical when it comes to buying clothes and creating my outfits. 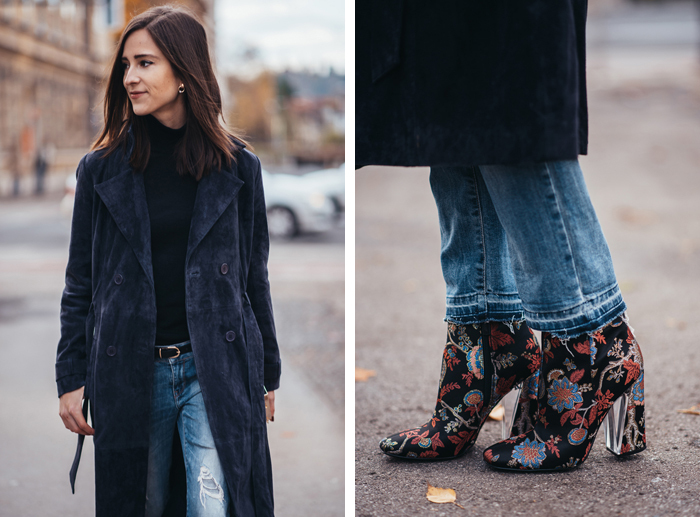 You know, putting comfort before fashion, staying away from crazy combinations (such as sandals during snow) and trying to invest in timeless pieces that would last me for several seasons. But from time to time, I feel like I need to spoil myself, letting my inner fashionista to come out, picking out pieces that are in contrary to everything I just raved about! And these shoes are a perfect example of that. They might not be the most practical everyday shoes, but simply put they are gorgeous. The interesting pattern, attention to details and beautiful fit, these Guess babies (from Mass) are a true showstoppers! Such a fabulous, masculine and girl boss like outfit! I'm loving your coat!